Hi My Milk Toof readers! Just in time for the heart of the Autumn, the shop is now stocked with new merchandise items! 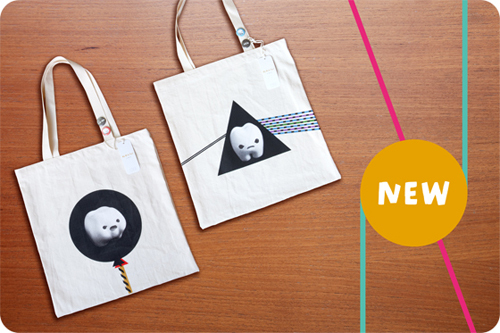 Included are ickle & Lardee's organic canvas tote bags, new 9 x 6 medium fine art prints, and some new sets of mini prints and pins. All items will ship internationally. Check it out HERE.